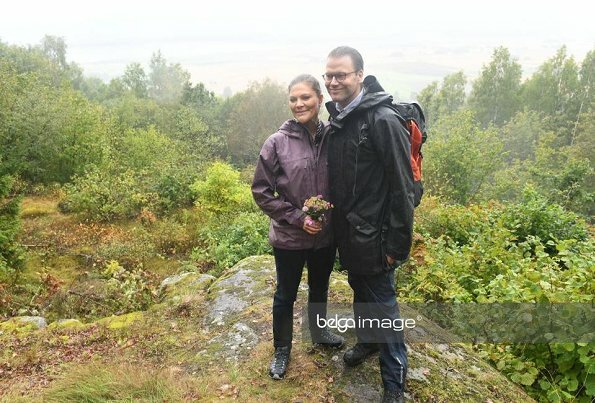 On September 9, 2017, Crown Princess Victoria and Prince Daniel are seen at the mountain of Billingen during their walk through a pilgrimage track in Vastergotland. 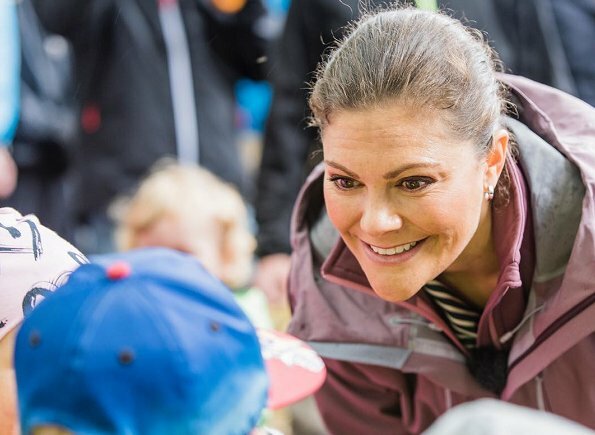 Crown Princess Victoria is Duchess of the province of Vastergotland. 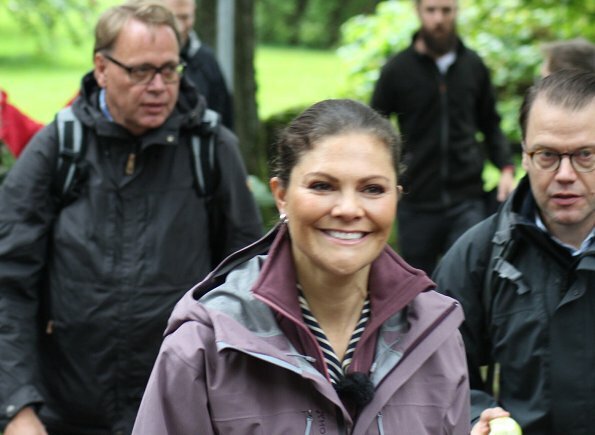 Crown Princess Victoria are planning to make these walks in different counties. This is where I live! 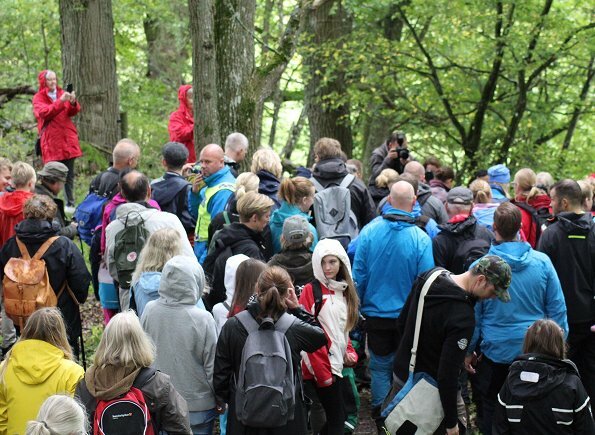 I am not well enough to participate in the hike though. (Arthritis in the hip, no big deal.) 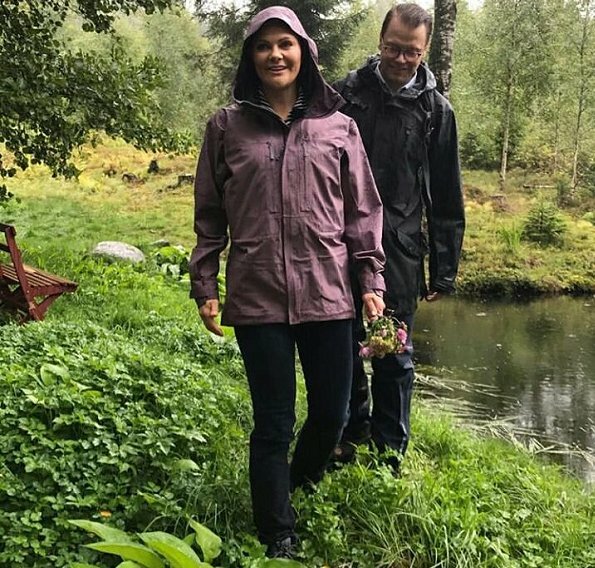 But it is lovely that they were here and enjoyed our lovely scenery. Lucky you. The scenery looks stunning. Is it always that foggy there Timtomara? No! But autumn has hit quite suddenly this year. Summer has been fine, mostly sunny but not to hot. Well, a bit too dry actually. Usually one does not hope for rain here, but this year we did. Lawns were yellow etc.